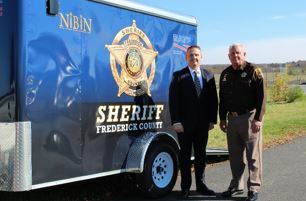 FCSO is now one of six NIBIN sites in Maryland. Their NIBIN site is collaborative and will serve law enforcement from Frederick, Washington, Allegany, and Garrett counties. 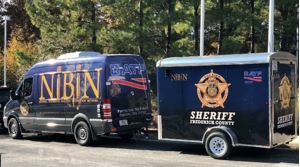 All of the equipment and the technicians trained on the NIBIN program will be located at the Frederick County Law Enforcement Center, where they will be able to rapidly process the ballistic evidence law enforcement officers from these four counties recover throughout the course of their investigations. Technicians can then quickly provide those same officers with potential leads. The NIBIN program was established by ATF in 1999 and provides investigators with the ability to compare their ballistics evidence against evidence from other violent crimes on a local, regional and national level, generating investigative links that would rarely be revealed absent the technology. That ballistic evidence is solely of the evidence left behind from firearms and does not capture or store information about individual firearms or their owners. 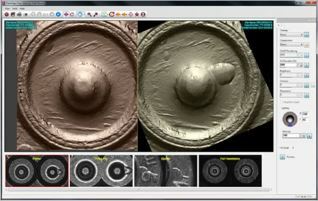 When a gun is fired, it leaves unique markings on the cartridge casings and the NIBIN program takes a 3-D image of that ballistic evidence to identify possible matches in casings previously recovered by law enforcement, often at the scene of violent crimes. 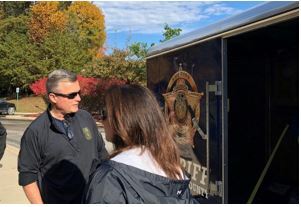 If a match is found, that means the same gun was used and that connection allows law enforcement to expand their investigations and link shooting incidents that may have appeared random at first or may have crossed state lines and jurisdictions. FCSO and ATF are committed to keeping communities all across Maryland safe. The intelligence information that NIBIN will provide is another step forward in securing that safety, and allowing law enforcement at every level to work together to strategically address trends in violent crime.